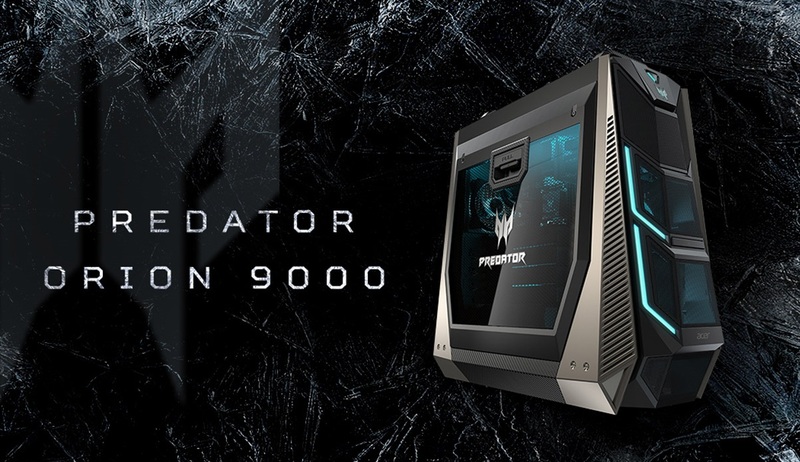 The launch of its Predator Orion 9000 Gaming Desktop PC announced by Acer India, Starting at 3,19,999. Initially they have launched it in Berlin. Intel’s Core i9 Extreme Processor and Optane Memory will be India’s first gaming desktop PC. Acer’s Exclusive Store’s and Croma Stores will Sell this Gaming Desktop PC from Wednesday (March 21) onwards. To control the temperature during extensive gaming Liquid cooling feature and IceTunnel 2.0 technology were loaded. IceTunnel 2.0 is an airflow management solution that separates the system into thermal zones that provide individual airflow tunnels to expel heat. AlsoThe Predator Orion 9000 supports three M.2 slots, and four PCIe x16 slots for additional video cards. Acer India CMO and Consumer Business Head has said, that “We are thrilled to welcome to our gaming arsenal the iconic Predator Orion 9000 Gaming Desktop PC. The Orion 9000 is a desktop of extreme power designed, emphasise for the demanding professional gamer with advanced cooling and game ready features” .